Born out of the violence, chaos, and eventual failure of previous Palestinian protests, the Boycott, Divestment, Sanctions movement has attempted to redefine the Israeli-Palestinian conflict by advocating for economic sanctions and raising the international community’s awareness of the various plights Palestinians have faced and continue to face. Like many civil rights movements before it, BDS has quickly taken hold in universities across the United States. The student bodies in almost all University of California campuses have championed BDS as a nonviolent, democratic form of political protest and pushed for the divestment of university holdings away from companies benefitting from the West Bank occupation. Instead of acting in accordance with student wishes, the UC Regents have used exaggerated concerns of anti-Semitism as a means of disregarding BDS and calls for divestment. However, support for divestment from Israel has continued to grow on UC campuses, and it is about time for the Regents to listen to the voices they represent. BDS differs from most previous Palestinian organizations in that it intends to unite previously-divided groups of Palestinians. According to UC San Diego Professor Gershon Shafir, the Israeli-Palestinian conflict has led to the division of Palestinians into three major fragments: Palestinian refugees, Palestinians living under occupation, and Palestinians who are citizens of Israel. So far, BDS has mainly been successful in garnering international support against the West Bank occupation. Even though its original proposal of uniting all three Palestinian fragments may have been overly ambitious, BDS has increased global awareness and participation in the movement against the occupation and toward Palestinian rights. After much debate and discussion, the student councils in seven out of the nine UC campuses — every campus other than UC Santa Barbara and UC Merced — voted for divestment. UCSD itself passed a resolution for divestment in 2013. 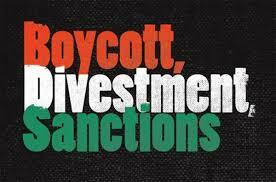 The companies targeted for divestment failed to denounce the occupation and in fact financially benefited from it. These include Hewlett Packard, Motorola, Cemex, and General Electric. Despite the considerable support divestment has in the UC community, the UC Regents have made no changes in their investment policy. Furthermore, in 2016, the Regents released a statement that disregarded the student body’s push for an economic boycott of Israel and also criticized what they called anti-Semitic movements taking place on UC campuses. Not only did this imply that BDS was in some way anti-Semitic, but it also bolstered the misconception that Jewish students are unanimously against BDS and all other pro-Palestinian organizations. In reality, a considerable portion of Jewish students support BDS and in no way view the movement as anti-Semitic. Having their own school take such an open stance on the Israeli-Palestinian conflict understandably may make Jewish students with opposing political perspectives worry about their place on campus. In part, such feelings are only exacerbated by the BDS movement policy of anti-normalization. Shafir explains that because it does not want to normalize the occupation, the BDS movement discourages Palestinians from collaborating with Israelis. This approach leads to a couple issues, however. More than just preventing Israelis and Palestinians from collaborating or at the very least coexisting peacefully, anti-normalization escalates tensions between the two groups and increases the likelihood of misunderstandings. The policy of anti-normalization has negatively impacted Palestinian relations with Israelis globally as well as on college campuses. That being said, there can be a disagreement between the two sides without there being anti-Semitism. Needless to say, anti-Semitism should have no place in any Israeli-Palestinian dialogue. However, by no means are Palestinian students or other supporters of the BDS movement inherently anti-Semitic and should certainly not be labeled as such. Cases such as the one at San Diego State University where “Muslim students … were labeled terrorists by people opposed to BDS” demonstrate that both Jewish and Palestinian rights to express their beliefs have been greatly distorted and suppressed. Because it did not differentiate between anti-Semitism and Palestinian criticisms of Israel, UC Regents merely perpetuated and worsened the impression that pro-Palestine movements need to be repressed. Criticisms of the Israeli government by Palestinian students should not be misconstrued as criticisms of Israeli people or of Jewish people. Both Israelis and Palestinians have a right to voice their opinions without fear of reprisal, yet by labeling Palestinian campaigns as anti-Semitic, UC Regents stifles an already far too stifled minority. On UC campuses, student bodies have spoken in opposition to the occupation and in favor of BDS. Whether UC Regents itself is a proponent of divesting is besides the point when it is the will of the student body to do so, and their behavior reveals a blatant dismissal of the decisions made on campuses statewide.